Palagruža – the most remote Croatian island - Explore Croatia Become a Patron! Out of all Croatian islands, Palagruža is the most remote. Inhabited only by a lighthouse keeper, it i an oasis of silence and rugged landscape. It is perfect for writers and nature lovers who meditate in the isolation. Discover the silent Adriatic. The Adriatic Sea is home to almost thousand islands. Palagruža, a small group of two bigger islands, Mala and Velika Palagruža and small islets, is one of th least known. This secrecy owes to the remoteness. 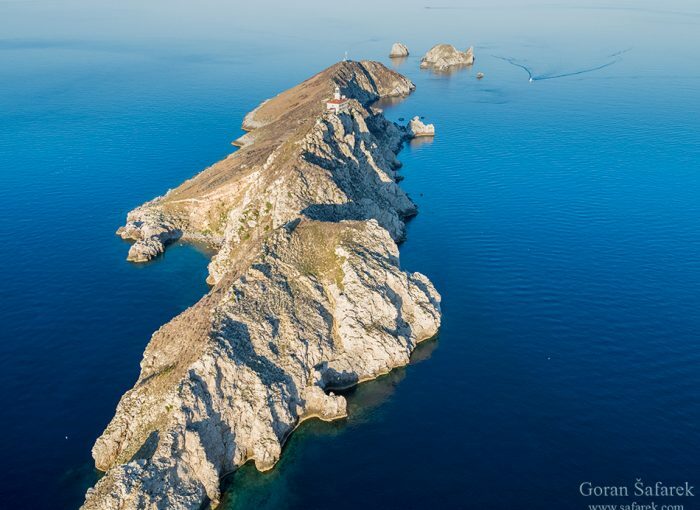 The distance to the first inhabited island of Lastovo is 59 kilometres. Italy is bit closer, with 52 kilometres of the open sea. Beaten by the waves, ferocious winds and sprinkled with only 300mm of the rain per year, this is an extreme of the Mediterranean. In this arid environment, we find here wild olives and strange wooden bush of the tree spurge. During hot summer, drab colours rein drape the island as it is an autumn. Plants shed leaves in late spring, only to revive in the autumn with the arrival of first rains. In total, 260 plants have been counted, with for endemic species. 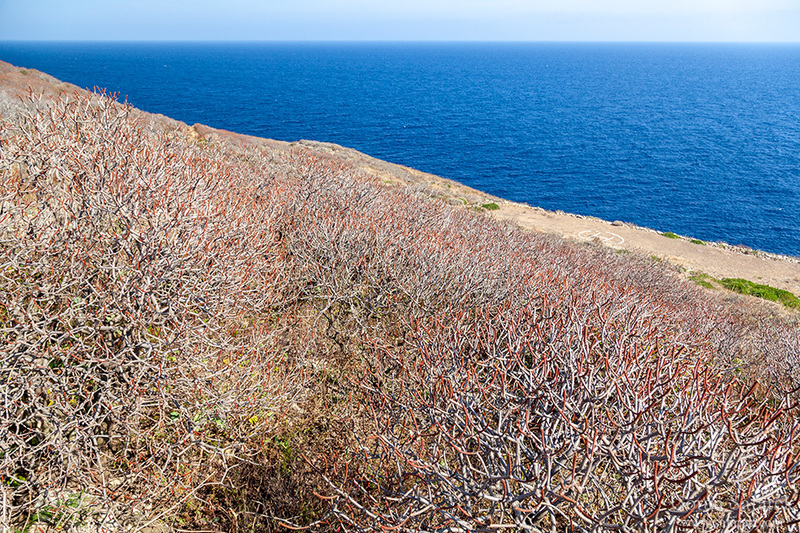 These plants grow stubbornly on the very steep, and even more dangerous, cliffs. Made from the sandstone and breccias (a rock composed of broken fragments of minerals or rock cemented together by a fine-grained matrix), it s prone to the slides, witnessed by many, causing sometimes fatal accidents. Fishermen from Hvar died during camping after the slide killed them in the beginning of the 20th century. 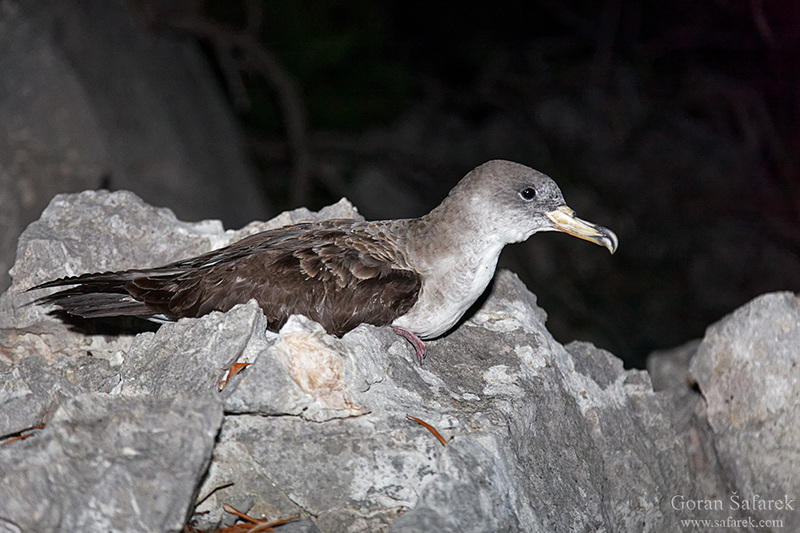 These rocks are very suitable for the nesting of marine birds – gulls and especially tube-nosed birds (The yelkouan shearwater, Puffinus yelkouan and The Cory’s shearwater, Calonettis diomedea). They lay eggs in the deep crevices of the rocks, unreachable to the predators. In late evening the parents return from the open sea, calling what sounds like crying of the human babies. Some people will say these are the sounds of souls of drowned marines. Man visited the island long time ago, even before ancient Greeks. Today, it is officially uninhabited, but lighthouse keepers permanently live here. They operate the lighthouse, but are also the wards of the island. This island was also permanent post for fishing, where fishermen slept on the beach. In the summertime, tourist recently became the guests for a week or so. Wind and waves an isolate the visitors for days however, forcing them to become Robinsons. 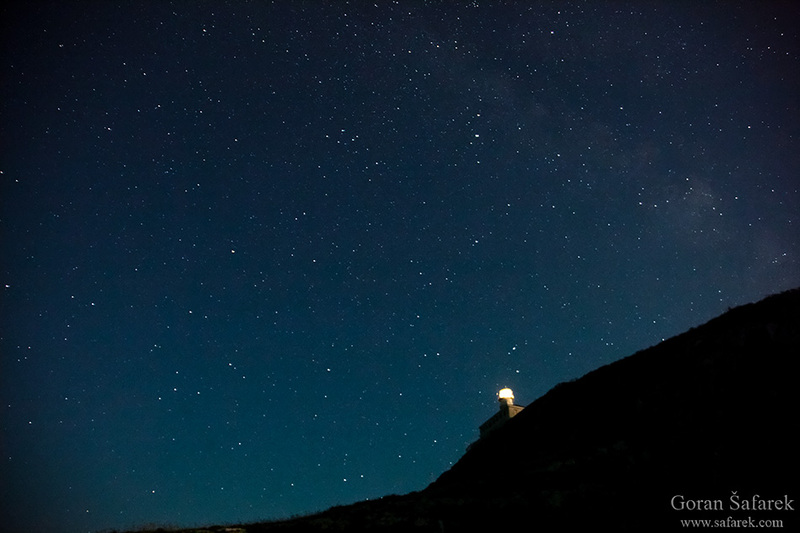 It is possible to stay in the lighthouse, the price is 80€ per day. The return ticket of the boat (Plovut) costs 700€. The best is to share these costs with more people. There are two beaches, although the main one is the best. Bring the mask and the snorkels for snorkelling, and lots of sun cream. There is little shade on the island.